It's hard to believe it's been seven years since we began the journey toward serving in missionary aviation! 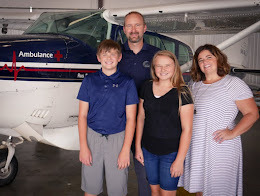 With much training and preparation behind us, we are now getting close to moving overseas to serve on our first field assignment as a missionary pilot/mechanic family! For the past couple years we have been corresponding with several missionary organizations that we are interested in. There is one ministry in particular that has resonated strongly with us, and that we have been thinking and praying about. Finally, in December, the timing worked out for us to make a visit with our entire family. We began our trip on a Thursday morning when we started driving toward Miami. After 11 hours we decided to call it a day and stop for the night in Titusville, Florida. Aliza did amazingly well on the drive down, and the big kids helped out a lot, keeping her happy and well-fed. 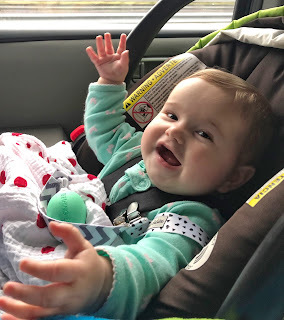 But after all those hours she was glad to be out of her car seat. Her big smiles won her lots of friends at Cracker Barrel! 🙂 We are thankful for everyone who prayed for us during the long car ride. Aliza did amazingly well on the long car ride! We started driving again Friday morning with the intention of stopping to see the ocean before continuing to the Miami Airport. But after contending with the crazy traffic coming into Miami we decided to play it safe and head straight to the parking lot where we’d catch an airport shuttle. Interestingly, the shuttle driver was from Peru and made sure to tell us how much we would love Bolivia. We got to the airport around 4:15 for a 10:30pm flight, which meant lots of waiting at the airport. Unfortunately our flight was delayed twice, but by 1:00am on Saturday we were finally airborne. After a long drive and more than eight hours in the airport we were ready to get some sleep in the dark aircraft cabin. All was well until they decided to turn on the lights and serve us dinner around two o’clock in the morning. Who needs dinner at that hour? Not me, but I suppose someone would have complained about not getting the meatballs they’d paid for. I would have gladly given my meatballs to that guy in exchange for an hour of sleep. Happy to finally be en route to Bolivia! Finally, around 8am on Saturday, we touched down in Bolivia and the kids set foot on foreign soil for the first time! 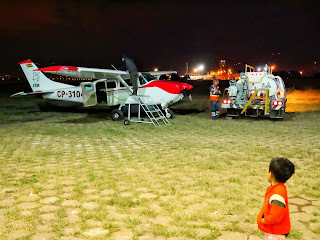 Fortunately our connecting flight was waiting for us (and more importantly for some crew members), so we made it to Cochabamba late morning. Immigration and customs went quickly, and Tony was there to meet us and drive us back to the mission house. It’s a really nice place, and we get a floor to ourselves. It was only the fourth floor, but at 8500’ elevation we noticed those flights of stairs! Saturday was a rest day, and Sunday we visited the “International Church”. I put that in quotes because the church has evolved from a mostly English-speaking church to a church comprised mostly of Bolivians and other Spanish speakers. A few songs were done in English, but the rest of the service was in Spanish. I was pleasantly surprised that I could understand a majority of what was said, so that was encouraging. After church we had lunch, rested for a while, and went for a walk around the neighborhood. After a couple days of settling in and learning about ITM's ministry, I had the opportunity to fly out to one of the villages where we would pick up a team that had been serving there for a couple weeks. The morning started early, when I rolled out of bed at 3:30. Cristian, one of the ITM staff, arrived to pick me up at 4:15. That was the first of three stops he was making around the city, and by 5:00 the truck was pulling into the airport, crammed full of adults, children, and cargo. Getting ready for an early morning departure. Before the sun had risen, we were taxiing to the other side of the field where we would file our flight plan and completely unload the airplane to be inspected by the anti-narcotic branch of the police. After the inspection we re-packed the airplane and waited to get a report that the weather was clear at our destination. By 7:15 our flight plan had expired and the weather had not cleared, meaning it was time to go through the whole process again. Apparently nothing is easy in Bolivia when it comes to paperwork and bureaucracy! To make a long story short, the weather didn’t clear and we cancelled the flight. 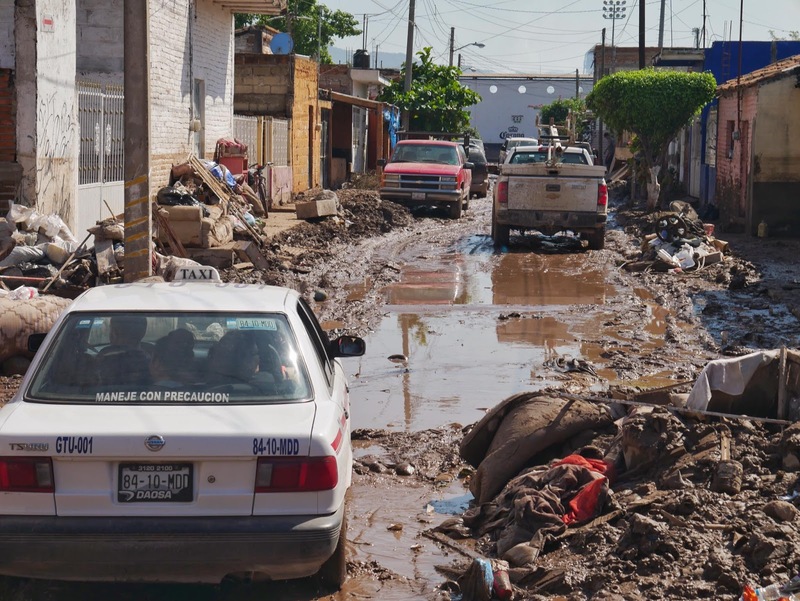 That’s just part of flying in Bolivia during the rainy season. It seems that the old saying is true: “Time to spare? Go by air!” That being said, the airplane is still—without a doubt—the best way to get out to the tribes. Later in the day, our family had lunch with several families and individuals that serve with ITM in Cochabamba. 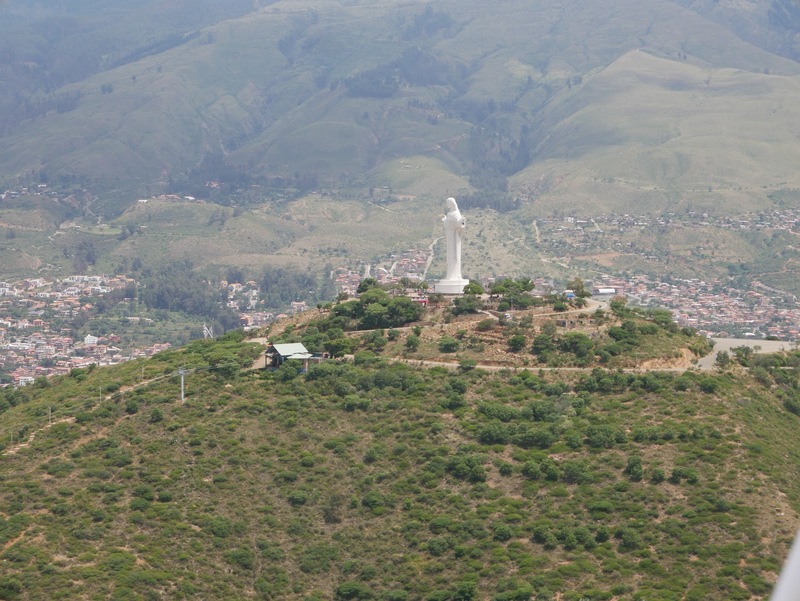 It was encouraging to hear about the church planting and discipleship that is happening in many small villages in the highlands near Cochabamba. There is also a great need for more laborers to disciple believers in these young churches. We had an opportunity to share about our journey, and our time together concluded by praying for one another. It was a very encouraging afternoon! 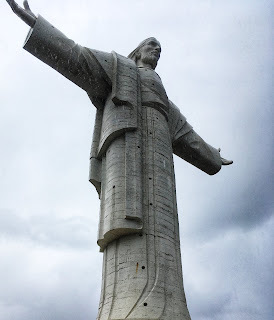 Finally, we drove out to see Cristo de la Concordia—the giant statue of Jesus that overlooks the city. By the time we got there it was pouring rain, so we didn’t spend much time there. At the base of the statue is a sculpture of an open Bible with the text of John 14:6; yet there are so many people in this region who haven’t heard about Jesus—the Way, the Truth, and the Life. 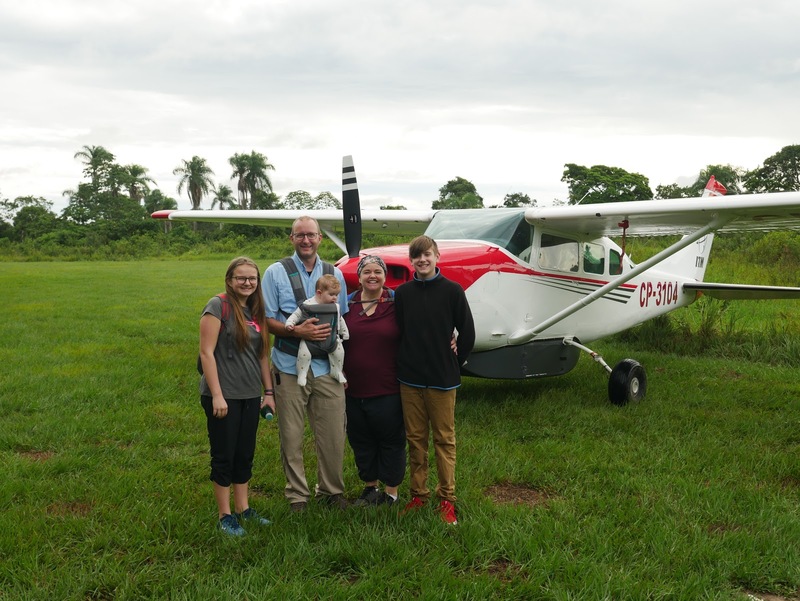 Thursday morning, the weather was looking good, so we tried again for the flight out to the village of Oromomo. This time we were able to make it out of Cochabamba on top of a sea of clouds. As we approached the village the clouds were breaking up, but there was still a low cloud layer that Tony was able to duck under and make a landing in Oromomo. While Tony shuttled the team to a nearby village I stayed in Oromomo where I got a tour from Tito, the pastor of the church in the village. He also explained to me the need for more laborers to reach the many unreached settlements around Oromomo. After seeing the village, I enjoyed a cup of coffee (and a taste of mate) and conversation with Tito and Ramon, one of the team members who had been serving in Oromomo. One of the things we love about the ministry of ITM is that the staff is multicultural, and most of the church planting and discipleship is being done by Bolivian nationals. There are even short-term teams that come to serve from other parts of the country. As expats, we would be supporting and working alongside Bolivians that are reaching people within their own borders with the Gospel. Flying to Oromomo at about 14,000 feet. 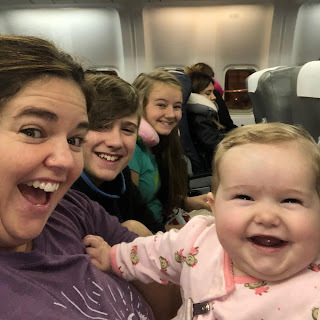 Since we had come all the way to Bolivia, I felt that it would be very helpful for our whole family (not just me) to fly out to one of the remote "front-line" ministry locations. 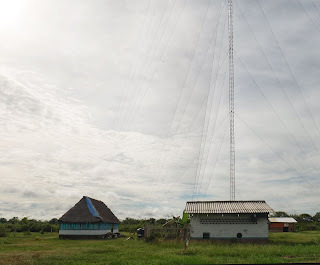 On Friday we flew to the village of San Lorenzo to meet some of the Bolivian ITM missionaries, and to see the radio station and Bible school that is being constructed to train tribal church leaders. On of my goals for that visit was for Ian and Ella to get a glimpse of the work that we would be supporting, and simply to see what life is like in the more remote parts of Bolivia. 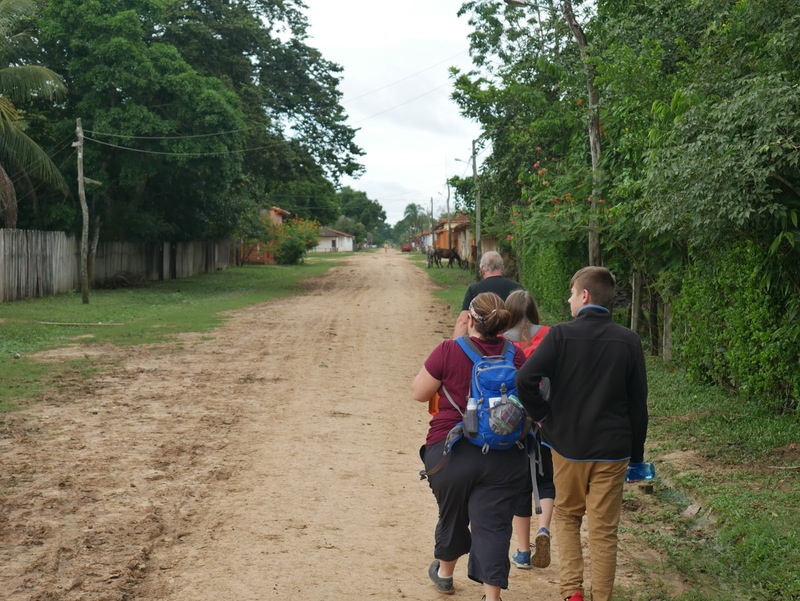 While walking around San Lorenzo and talking with Tony, they also got an idea of how they could participate in the work that God is doing here, especially helping to support teams that come to serve in the tribal areas. During our visit to the radio station, we had a few moments to sit and talk with Ivan and Cendy, the staff members who run the station in addition to other responsibilities. They were so encouraging to us, and especially to the kids. After we talked for a while they shared some Scripture and prayed for our family. We felt very blessed by them, and would be excited to help support these Bolivian missionaries who have made significant sacrifices to serve in remote parts of their own country. Walking down one of the main roads in San Lorenzo. 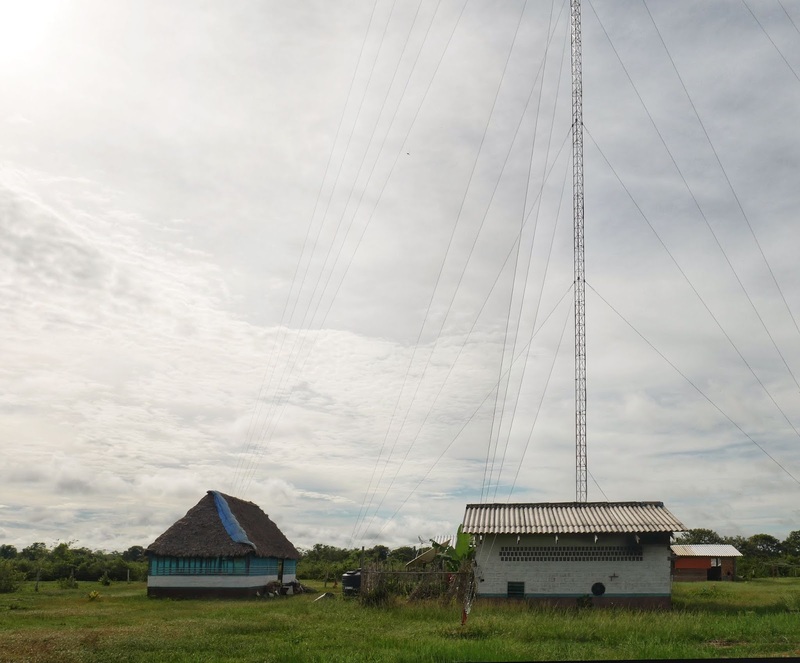 The radio station and one of the Bible school buildings. We came back very excited about the possibility of serving in Bolivia with ITM. It's not the easiest place to serve, and there would be some challenges. But we know that the Lord will be with us wherever He calls us. We're not making any big announcements quite yet, but we are excited about what lies ahead for our family. 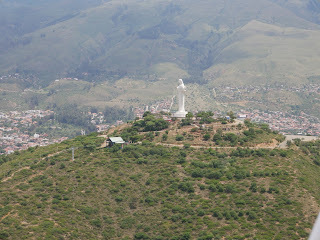 From the window of the mission house in Cochabamba we could see the outstretched arms of a giant Jesus statue. That was pretty neat, but we are thankful that there is a real Jesus who actually holds and sustains all things, and we continue to trust Him to direct our steps, desiring His will to be done in us! Thanks again for walking alongside us on this journey! On November 9, I returned from Mexico after completing a three-week internship with UIM Aviation. This experience was also the culmination of my five-year apprenticeship with MMS Aviation and Missionary Air Group. In the coming weeks we'll write more about our future plans. For now, we simply ask for your prayers as we consider a few different options for long-term service. 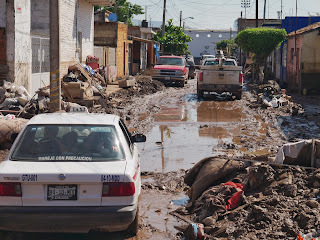 In the rest of this blog post I'd like to share briefly about my time in Mexico. As I mentioned in my last post, hurricane Willa hit the coast of Mexico very close to UIM Aviation's base in Tepic. Although we felt some effects of the hurricane, we were not hit directly; some nearby towns were not so fortunate. 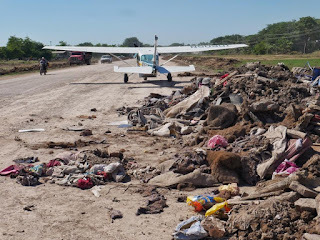 As a result, we had the opportunity to fly several relief flights into the town of Tuxpan after they were able to clear the runway for us. Many streets, homes, and business were flooded as a result of the hurricane. 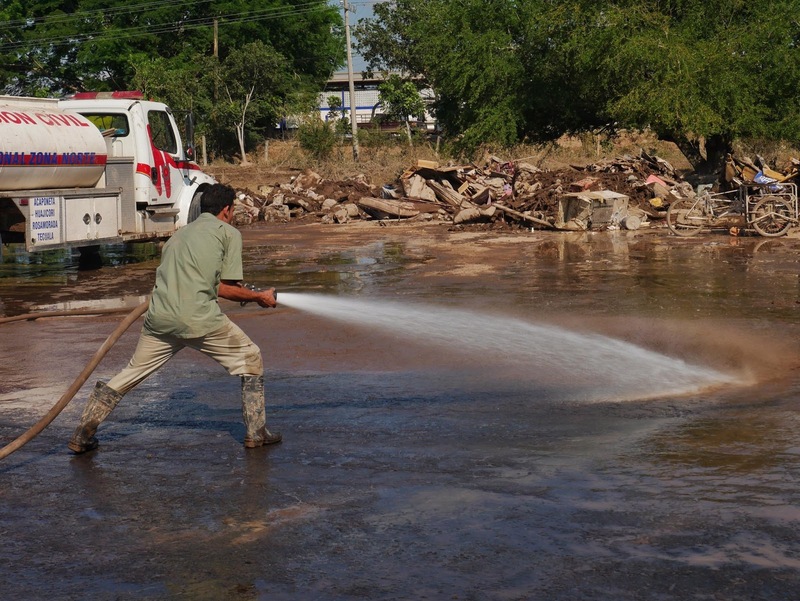 Many people lost most of their belongings to the flood waters. 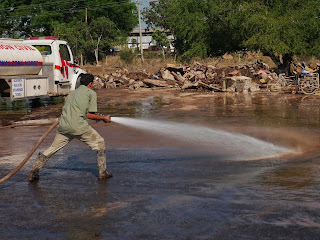 Clean drinking water was scarce, and the town faces a long process of recovery and rebuilding. Clif loads relief supplies into the airplane. 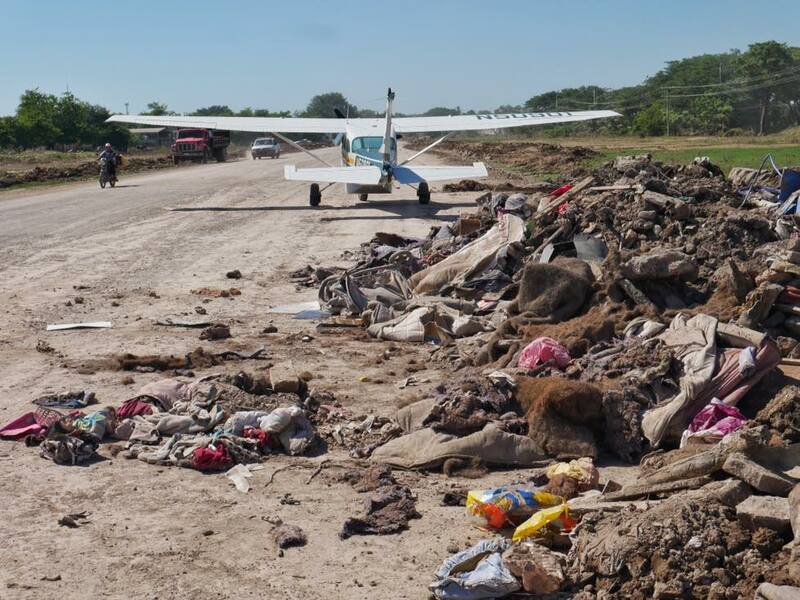 As people cleaned out their homes and businesses, much of the trash made its way to the edge of the airstrip. This added to the complexity of taking off and landing safely, along with the vehicles, pedestrians, and animals on the runway. 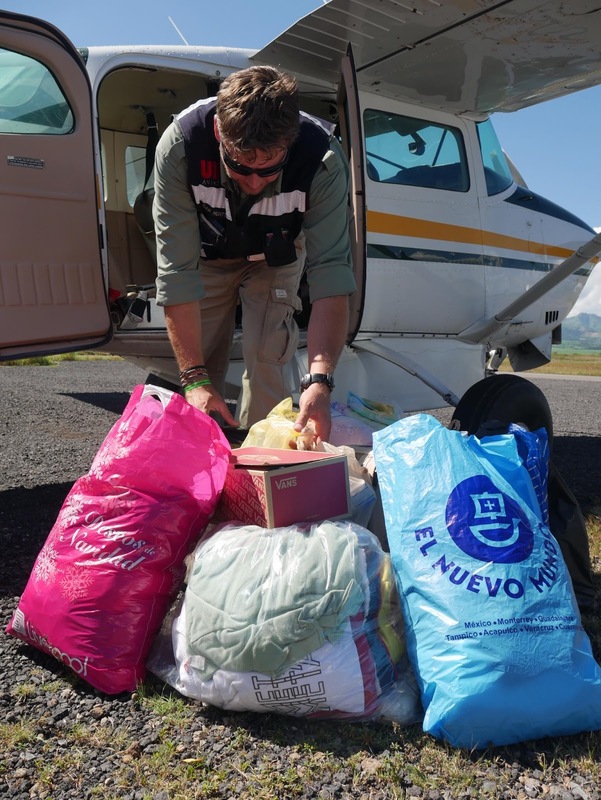 UIM Aviation partnered with a local church to distribute food, water, and clothing to the residents of Tuxpan. Although we are sad for all who were affected, it's exciting to see the Church in action, helping to alleviate suffering and pointing people to the hope that can be found in Jesus. 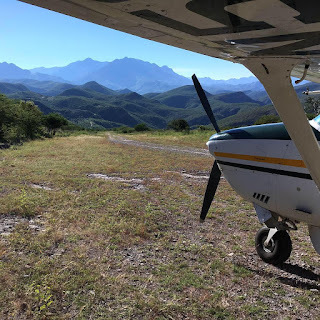 In addition to the flights into Tuxpan, I was able to make many flights into the mountains near Tepic. I really enjoyed those experiences, not only as valuable training, but as an opportunity to put my skills to use. 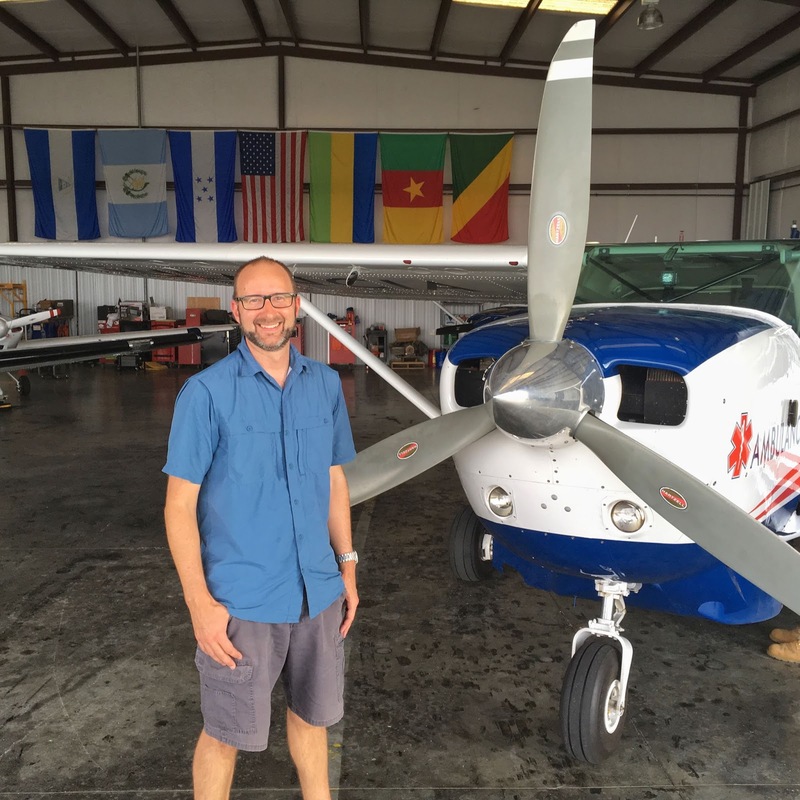 I have spent the last several years working toward becoming a qualified missionary pilot-mechanic, and it was exciting to finally fly my first mission flights with UIM. 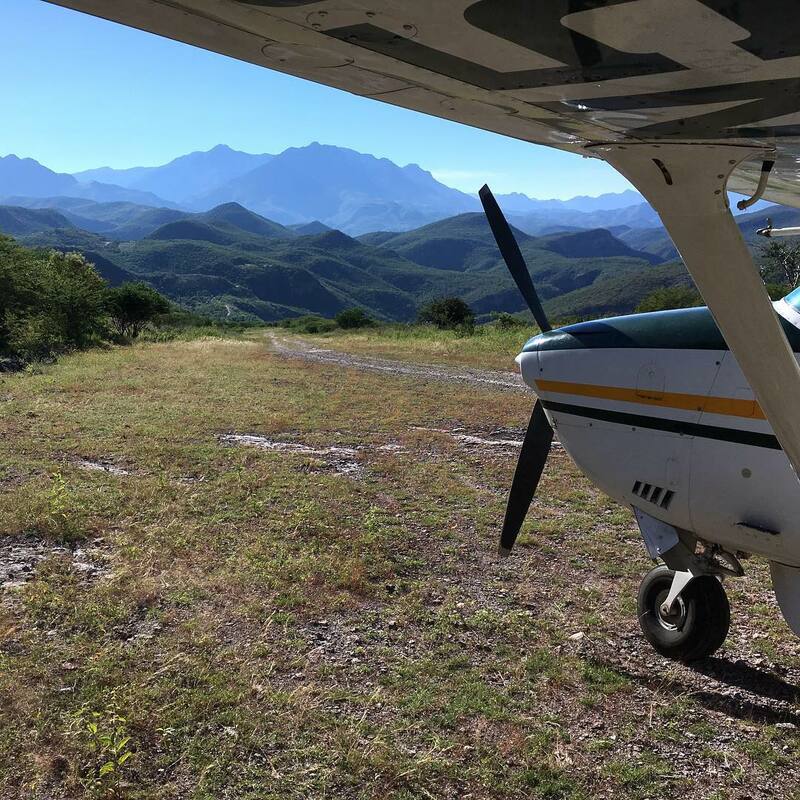 My first flight into the mountains was to deliver supplies to missionaries that minister with the Huichol people in the Sierra Madre. Another flight was to transport an evangelical/dental team between mountain villages. Ground travel across some of the valleys can take a day or more, whereas a flight can be made in 15-20 minutes! One of the short mountain airstrips. 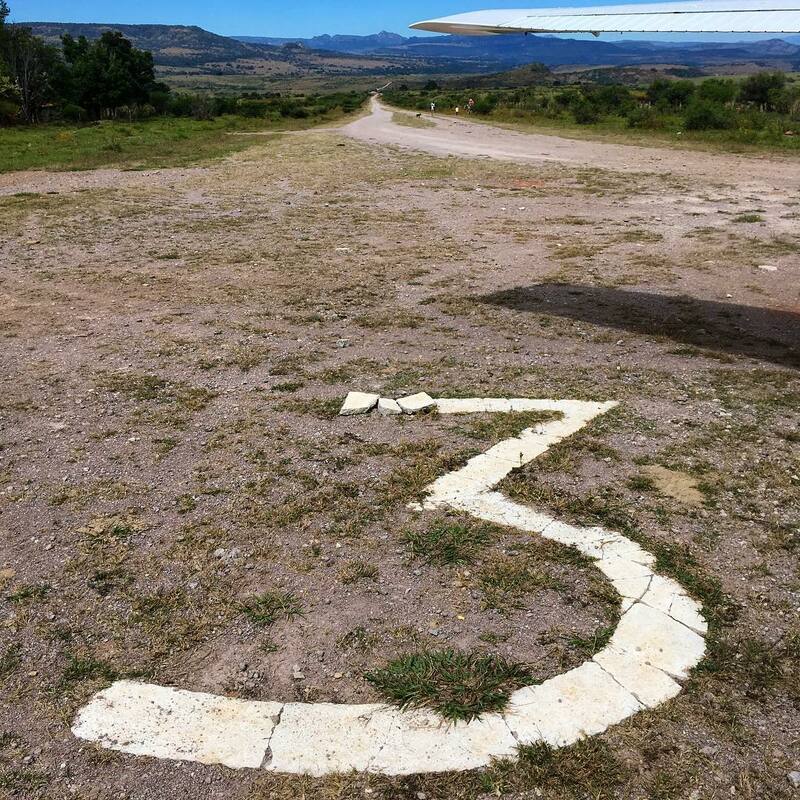 It is a one-way airstrip with landings made uphill and takeoffs downhill. 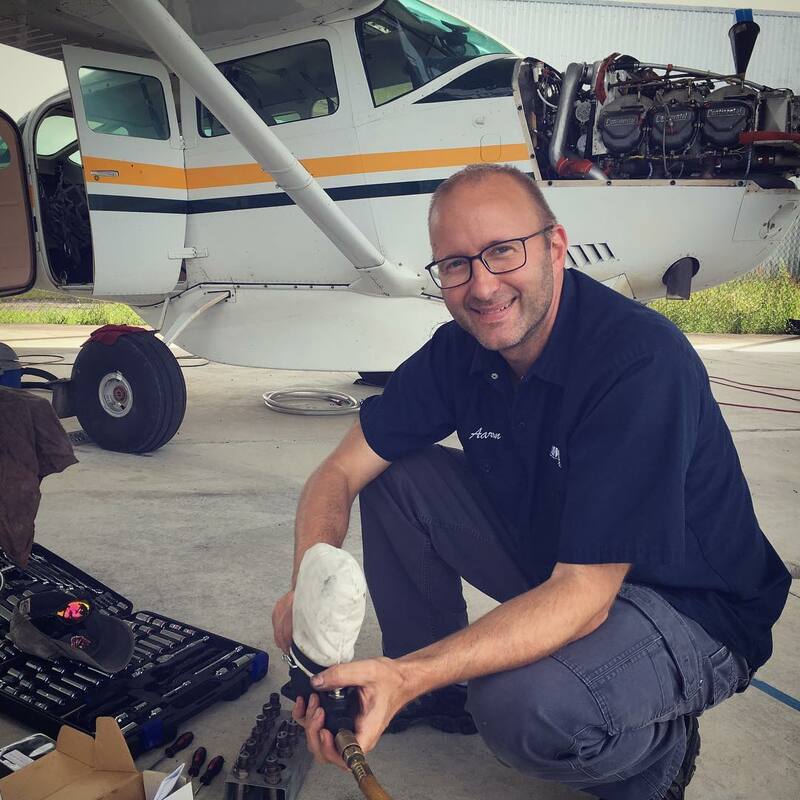 While in Tepic, I helped with the 50-hour inspection on UIM's Cessna 206. In addition to the flying, I enjoyed interacting with the UIM missionaries, as well as the people that they serve. I enjoy airplanes, and flying in the mountains was great. But when it comes down to it, the ministry is really about people. Even though my ability to communicate was limited, I enjoyed my interactions with them, and getting a glimpse of the Huichol culture. A Huichol woman and baby from one of the villages in the Sierra Madre. 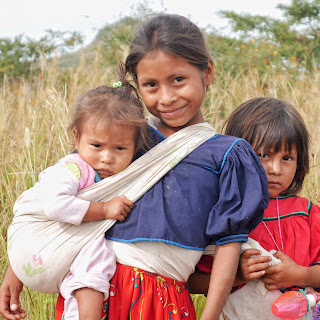 Some of the Huichol girls from the same village. After so many years of preparation, it was exciting to finally be making my first ministry flights. 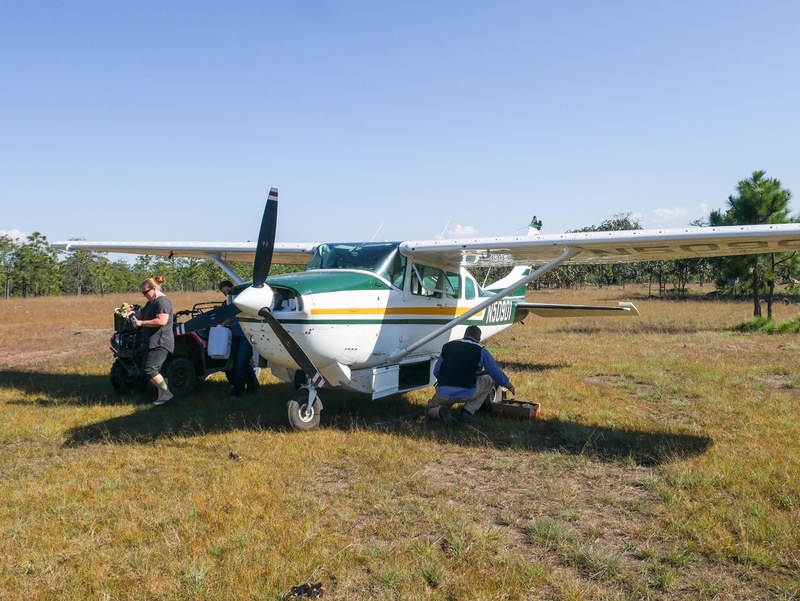 Even though I was still under the supervision of a more experienced pilot, I was happy to be a contributing crew member and to be at the controls for several ministry flights. I loved everything about it, and can't wait for the day when I get to do this on a regular basis! Please pray that God would continue to guide and direct our steps, and that He would provide all that we need to finally get to the field. We'll write more about our next steps in a future post! Last Friday I arrived in Tepic, Nayarit to begin a three-week internship with UIM Aviation here in Mexico. This is the last step in my 60-month apprenticeship with MMS Aviation and Missionary Air Group. If that’s confusing, let me clarify: we serve with MMS, where I did my aircraft maintenance apprenticeship. MAG is one of MMS’s partner organizations, and gives flight training to MMS apprentices. 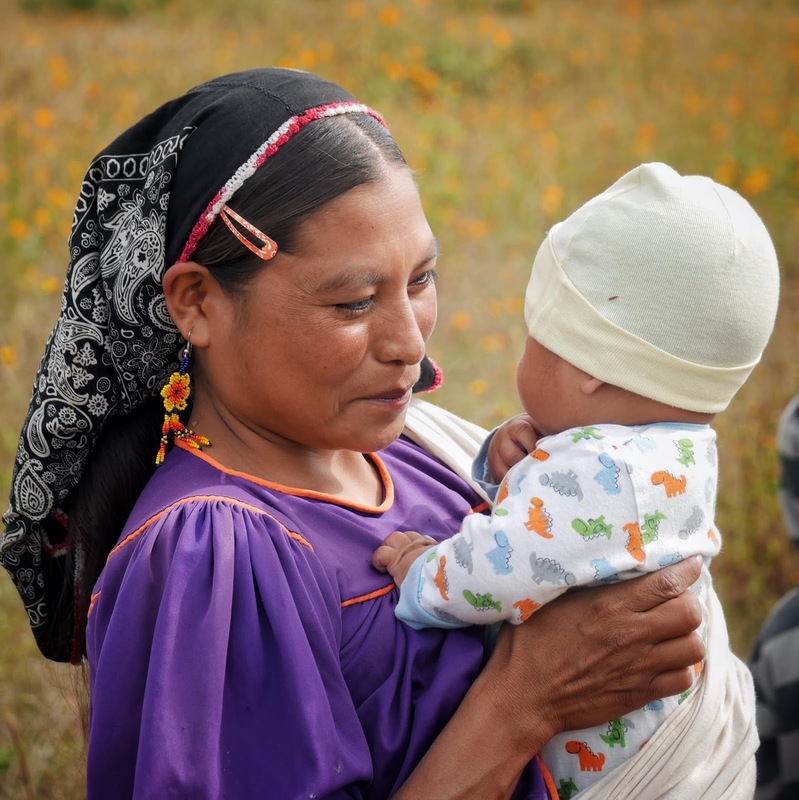 UIM is partnering with MAG to provide field experience through a short internship in Mexico. It’s encouraging to see and experience so much partnership and cooperation between organizations! So far I’ve made two flights in UIM’s Cessna Turbo 206. It’s a bit different from what I’ve flown in the past, but I’m really enjoying it! Soon I’ll be making my first flights with UIM’s pilot, Clif, into the mountains north of Tepic. I’m really excited about it, as I’ve been working toward this point for several years now. Long before that I dreamt of being a missionary pilot as a teenager, but believed for many years that those desires would never come to fruition. Sometimes it’s still hard to believe that I’m about to make my first ministry flights here in Mexico! Please pray for safety as we fly this week. Hurricane Willa brought a lot of rain, and that can affect some of the airstrips in the area. I also appreciate prayers for me to learn quickly and fly skillfully, and for Clif as he instructs and keeps watch over the safety of each flight. Here are a few photos of the time I’ve spent here so far! ...the end of my training, that is! Now that I'm an instrument-rated commercial pilot, I've moved on to advanced training in the Cessna 206. The 206 is an airplane that I will likely fly on the mission field, and it has been a workhorse of missionary aviation for many years. In many ways it is similar to the Cessna 172 that I've been flying, but it is larger and heavier, has almost double the horsepower of the 172, and has a greater load-carrying capacity. The plan for my training also includes a few weeks in an operational missionary aviation field program. 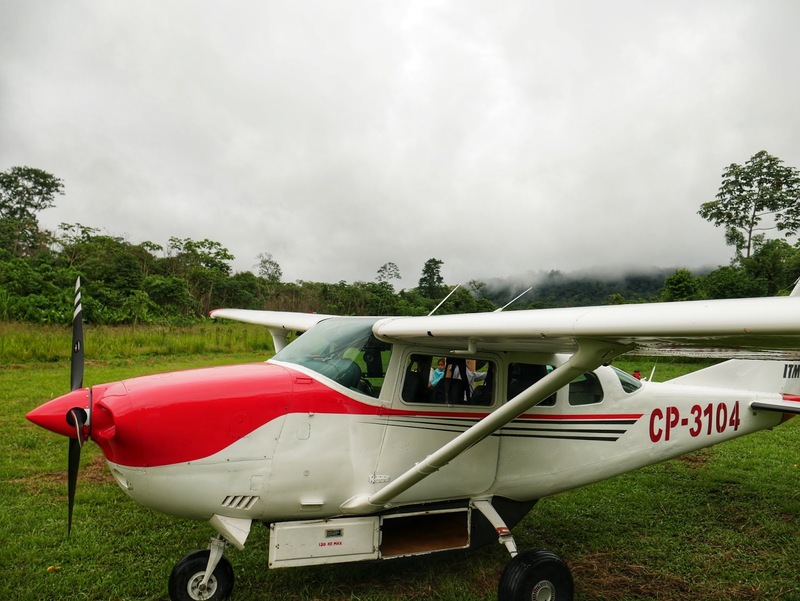 The original vision was for me to spend a few weeks in Guatemala and Honduras with a pilot from Missionary Air Group. However, circumstances have changed a bit, and I am now planning a trip to Mexico in October. I'll be spending three weeks with another organization, receiving some training and experiencing their field operations first-hand. Although this is a slight change from the original plan, it will still achieve the objective of providing me with valuable experience in an operational field program. The trip to Mexico will essentially mark the end of my maintenance and flight training through MMS Aviation and Missionary Air Group. After I return to the States, we plan to visit at least one organization that we are considering for long-term service. We're praying about a possible trip to Bolivia in December, and considering other options as well. We hope to have a very good idea of which organization we will be serving with early next year. You may wonder why we waited so long to make the decision regarding our future plans. Well, we had hoped to make some field visits earlier in my apprenticeship so we'd be ready to transition right into our next phase of ministry. However, we were not expecting Aliza to come along! Because of Tara's pregnancy and the timing of Aliza's birth, we had to cancel our earlier travel plans, pushing the decision-making process into 2019. We appreciate your prayers as we continue to ask for wisdom and guidance. There are many factors to consider, but ultimately we trust the Lord to guide and direct our steps. On August 10 I reached another milestone in my missionary aviation journey, when I successfully completed my commercial check ride. As a commercial pilot, I have been trained to fly to a higher standard than a private pilot, and am allowed to fly certain aircraft that are being operated for hire. This is also the last rating I'll need in order to fly for most mission organizations. 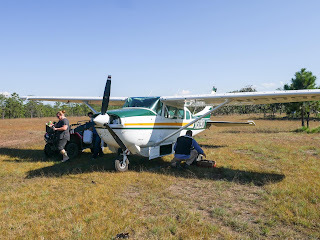 Last week, I got right into the Cessna 206, which is an airplane commonly used on the mission field. After a couple familiarization flights, I got my high performance endorsement (needed to fly aircraft rated over 200 horsepower), and then flew the airplane to Pennsylvania for a missionary aviation fair, with our chief pilot in the right seat. Over the next couple months I'll receive advanced training, get some flight experience in Central America, and be finished before Thanksgiving. I appreciate your prayers as I finish my training, and as our family continues to seek wisdom and guidance regarding our long-term plans. I realized today that we have gone way too long without updating our blog. This might give the impression that nothing has been going on, but that is not the case! We have encountered some challenges and setbacks, but are continuing to move forward in our service with MMS Aviation and Missionary Air Group, and toward a future overseas assignment. I've been working toward my commercial pilot certificate for quite some time now, which involves both flight experience and ground study. It also requires passing a knowledge test (commonly referred to as "the written"), followed by an oral and practical test with a designated pilot examiner. I'm happy to report that I passed the written test on June 1! Now I just need to meet a few more flight requirements in preparation for my check ride. I appreciate your prayers for provision of the complex airplane that I need to complete this training. Several options have fallen through, but we are trusting the Lord to provide in His time. Over the past two weeks I have been leading the 100-hour inspection on N381MG, our primary training airplane. Normally this inspection wouldn't take more than a few days, but we found a few small problems that needed to be addressed. One of these small issues, which could eventually turn into a big problem, was a cracked exhaust system. One of the little cracks is shown in the photo below, at the tip of the pen. Can you see it? And why is this such a big deal? In this airplane, the cabin is heated by air that is drawn over the exhaust system. Any exhaust leaks can allow carbon monoxide to enter the cabin, with the possibility of incapacitating the pilot. That is not a good situation! And that's why we perform regular inspections. In addition to repairing the few discrepancies that we discovered, there are many routine inspection and service items that are done at every inspection. Below is a picture of the 100-hour inspection in progress. 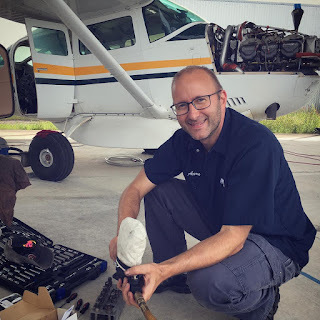 This was a great opportunity for me to refresh my familiarity with the "inner workings" of the Cessna 172, and to brush up on my maintenance skills. It was also good preparation for the time when I may be conducting 100-hour inspections on aircraft in the field. Finally, we are still considering options for service after I am finished with my training here in Burlington. We have several options that look promising, but we're still praying for wisdom and guidance, as there are still some uncertainties surrounding each option. 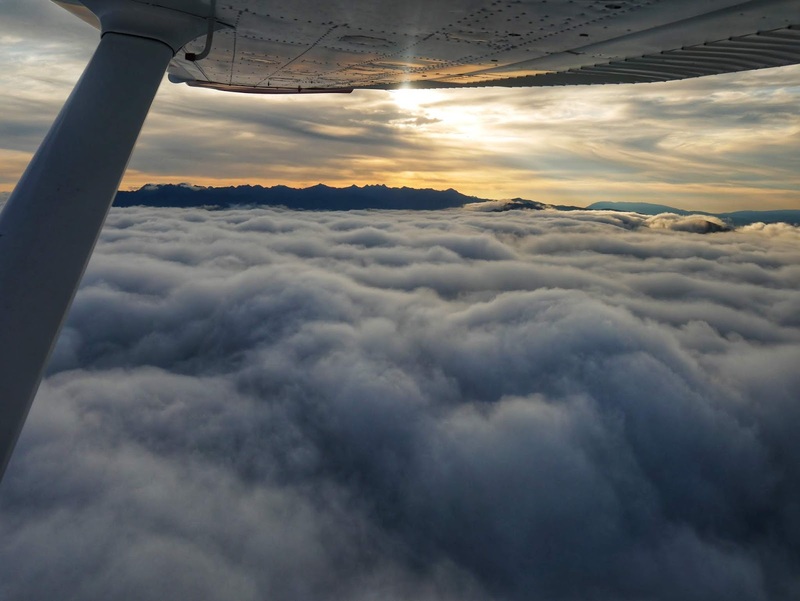 On one hand, some level of uncertainty is almost always present in missionary aviation. But we are praying for sufficient clarity to know which step to take next. Thank you for your prayers and support as we continue on this journey!